You can buy the bottles and caps on place. The start-up kit costs $15.75 and it includes 12 bottles, 12 caps and a cardboard transport box. 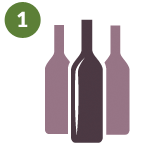 Wine bottles are offered in 750 ml or 1 L format. Please note that you have to buy 6 bottles at a time. 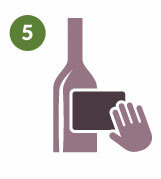 Taste our wines in ideal conditions and identify your taste profile. 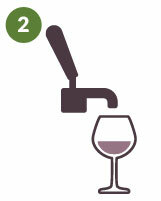 Chose the wine and identify the letter indicating the right filling station. Fill your bottles easily and quickly at our filling stations. 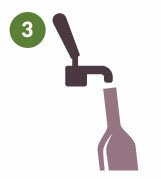 Close your bottles with an elegant and easy to use cap. 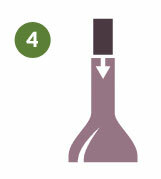 You can add the wines official labels on your bottles for free. You can also create a personalized label for free on place. A great option to add a personal touch onto your favourite products!